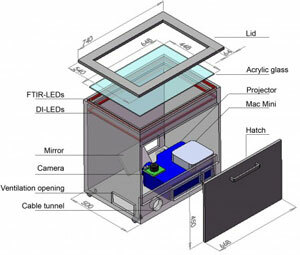 Figure 1: The Virttable’s display with (right) and without (left) the chosen IR blocking foil. 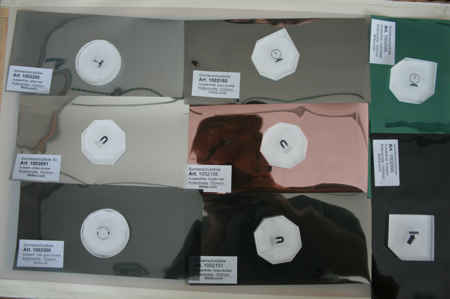 Some time back, I’ve bought some infrared blocking foil for the Virttable from the German foil store Ifoha. 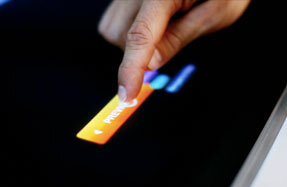 Infrared blocking foil is an approach for the blocking of ambient infrared light (e.g. 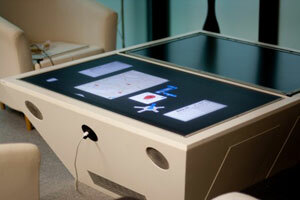 from a light bulb or daylight) ONLY in a FTIR multi-touch setup as it blocks light that comes from above the table. I.e. in DI your hands reflect light that would be blocked by an IR blocking foil. 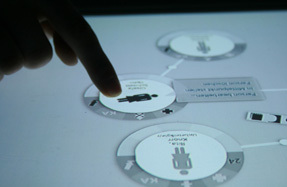 Figure 2: The Virttable’s display with all IR blocking foil samples (without projection). Note the identifier labels from Ifoha. 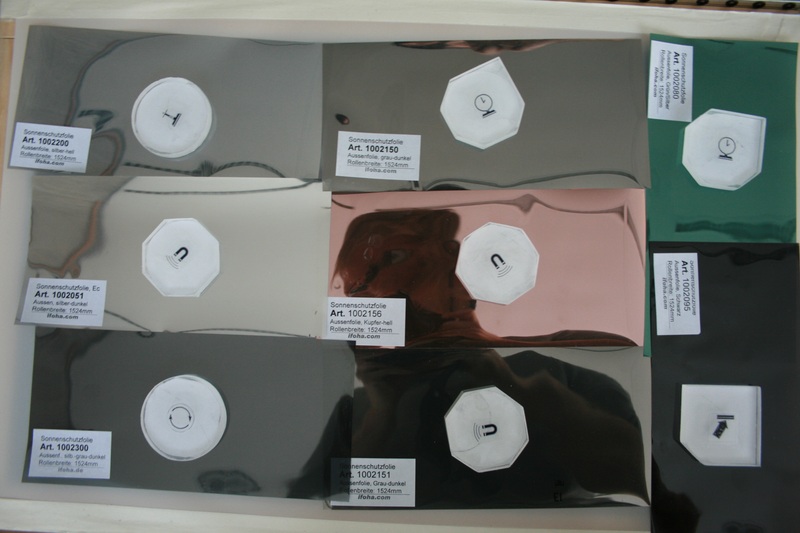 I ordered samples from Ifoha from all IR blocking foils they have in stock. I put all samples on top of the table (figure 2 and 3). Onto the samples I each put a finger and a fiducial. 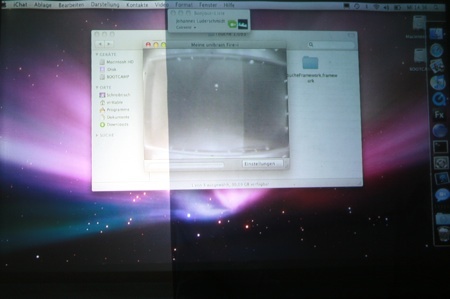 Afterwards I made a screenshot of what the cameras see (figure 4). 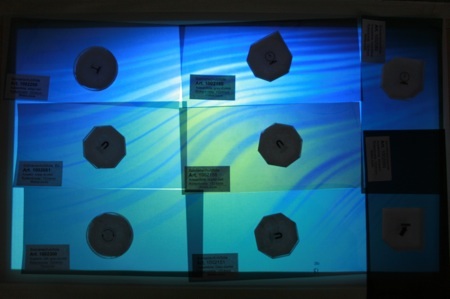 Figure 3: The Virttable’s display with all IR blocking foil samples (with projection). For the Virttable I used the foil with the id 1002300, which blocks 83% of the ambient infrared light. 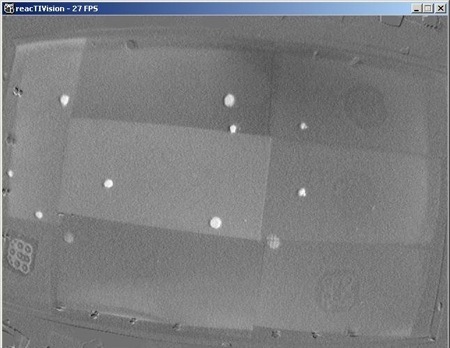 Figure 4: What the camera sees on the Virttable’s display with all IR blocking foil samples on top. If you want to know something specific ask in the comments.